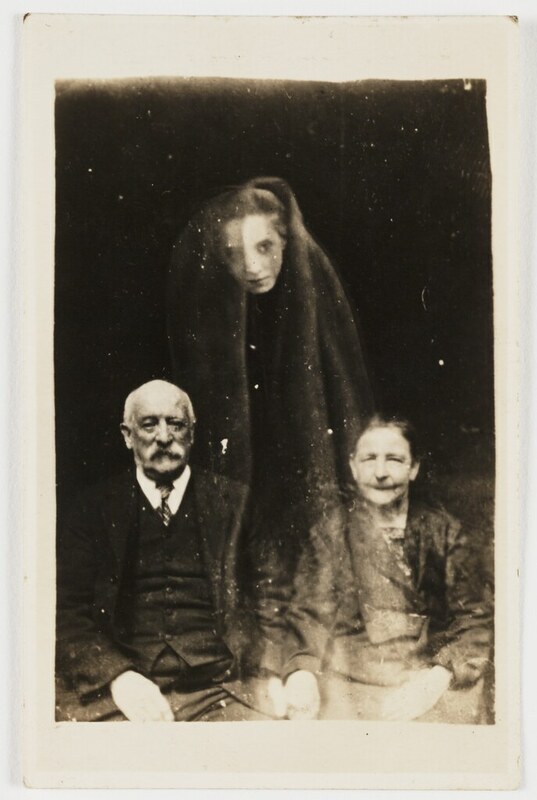 This remarkable collection of photographs was unearthed in a Lancashire antiquarian bookshop by one of the curators at the National Media Museum. 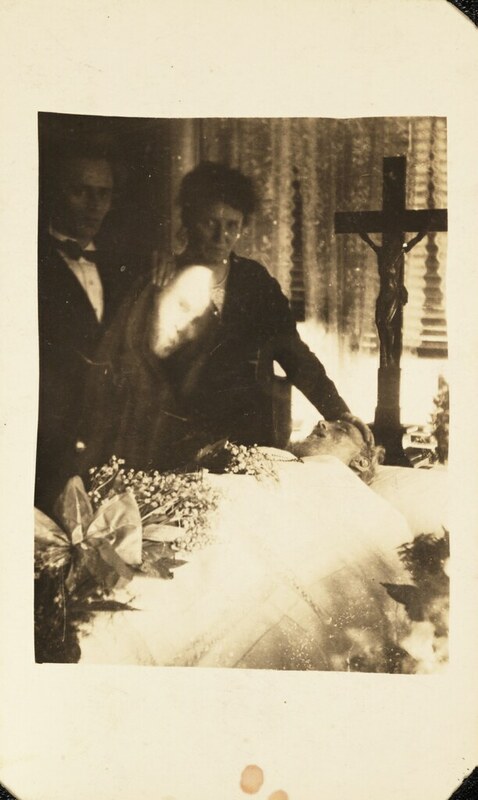 Known as “spirit photographs”, they were taken by a controversial medium called William Hope. 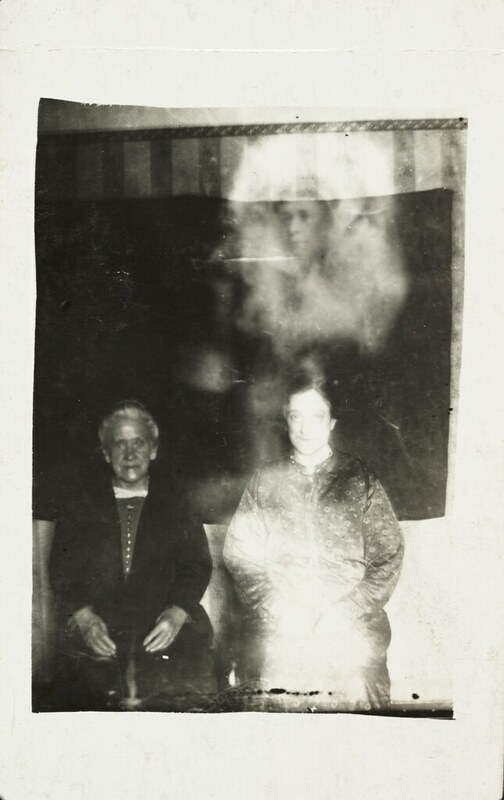 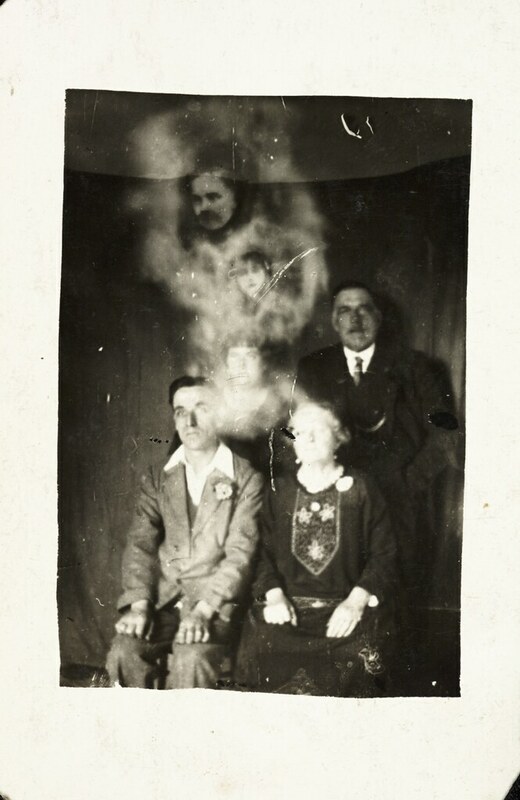 Born in 1863 in Crewe, Hope started his working life as a carpenter, but in 1905 became interested in spirit photography after capturing the supposed image of a ghost while photographing a friend. 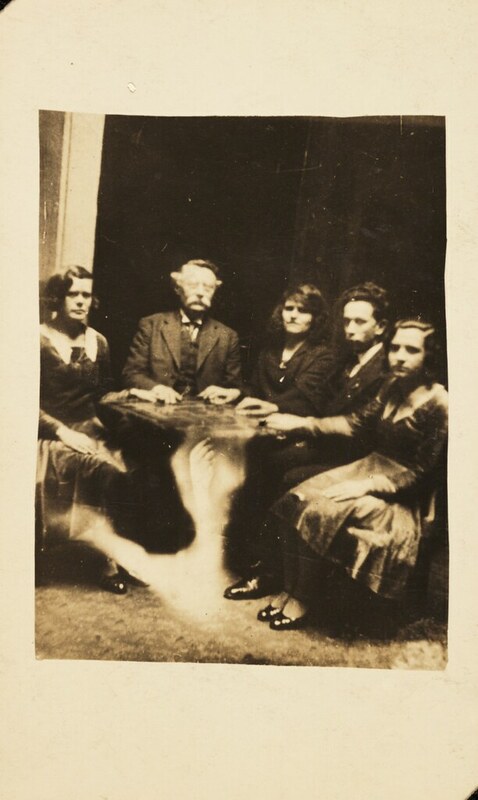 He went on to found and lead a group of six spirit photographers known as the Crewe Circle. 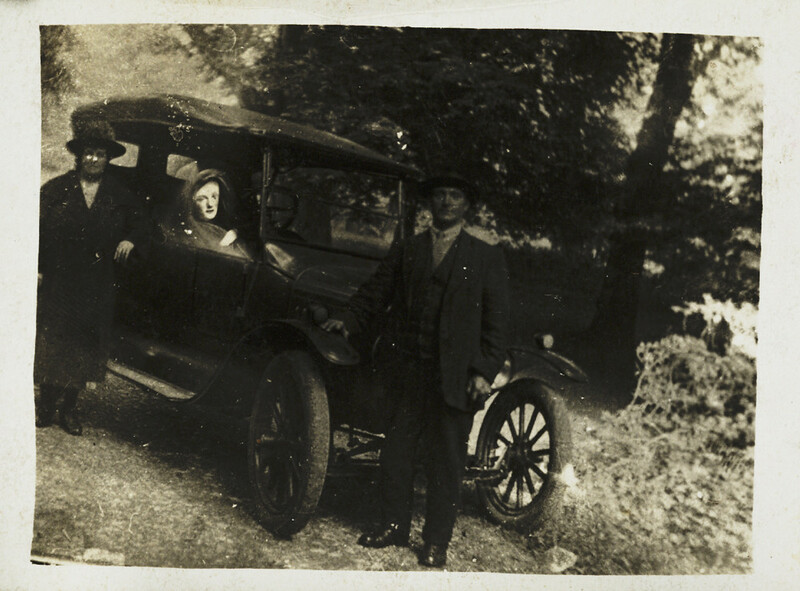 Following World War I, support for the group, and demand for its services, grew as the grieving relatives of those lost to the war sought a means of contacting their loved ones. 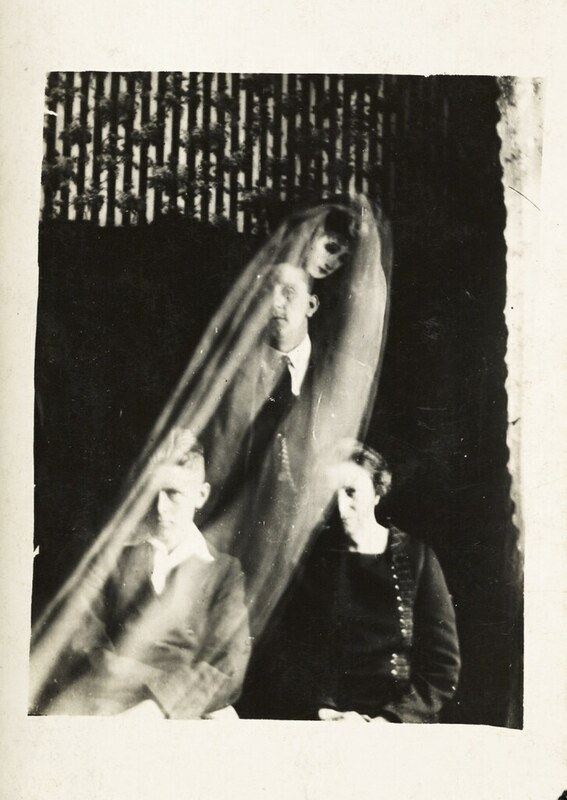 By 1922 Hope had moved to London where he established himself as a professional medium. 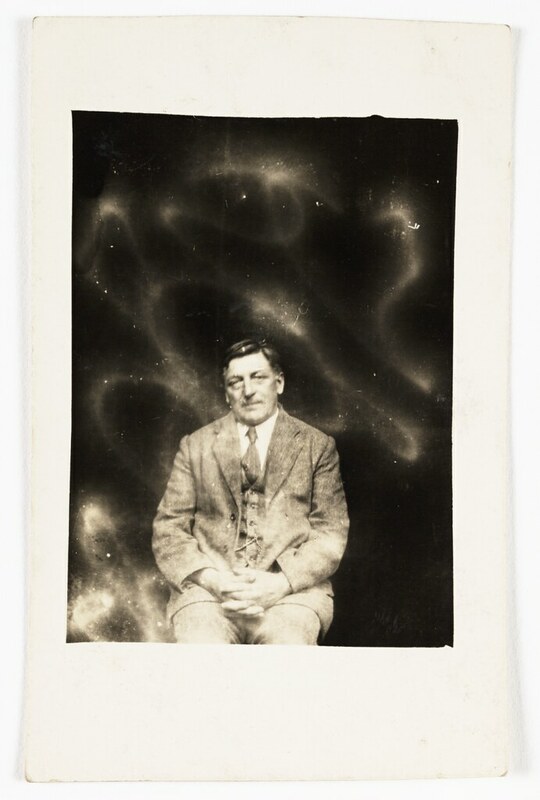 The work of the Crew Circle was investigated on various occasions, the most famous of these taking place in 1922, when the Society for Psychical Research sent Harry Price to investigate. 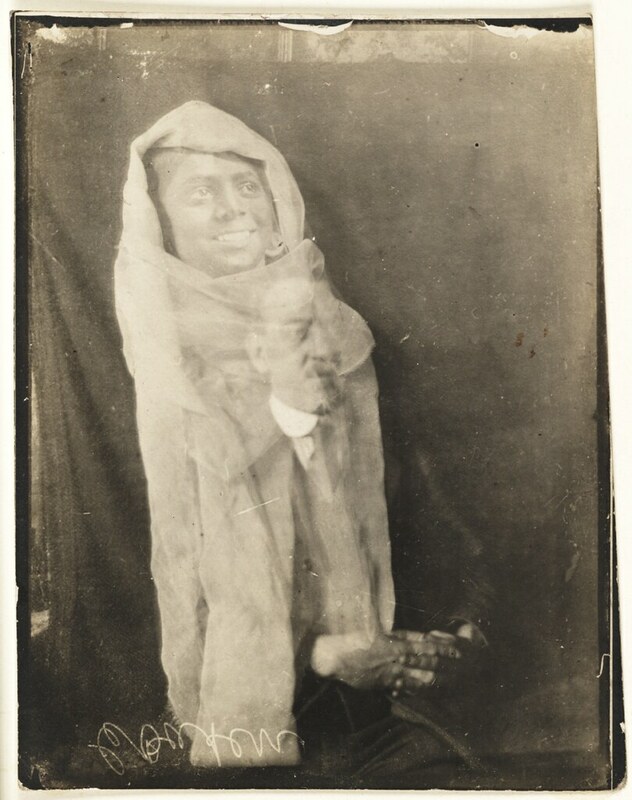 Price collected evidence that Hope was substituting glass plates bearing ghostly images in order to produce his spirit photographs. 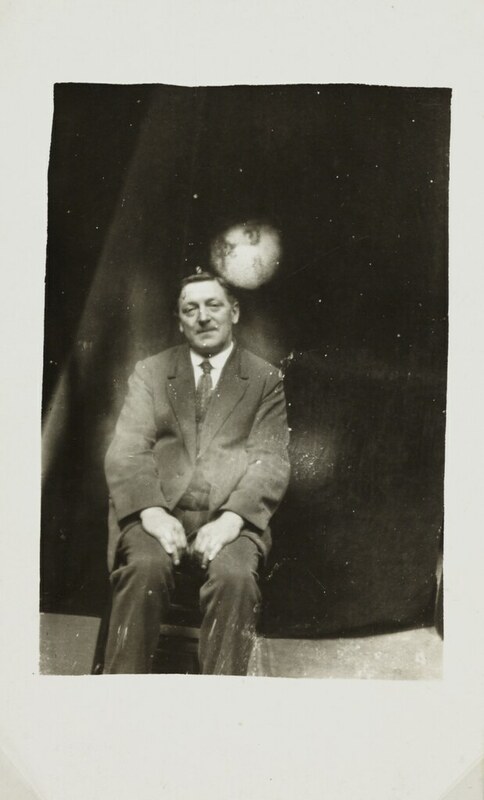 Later the same year Price published his findings, exposing Hope as a fraudster. 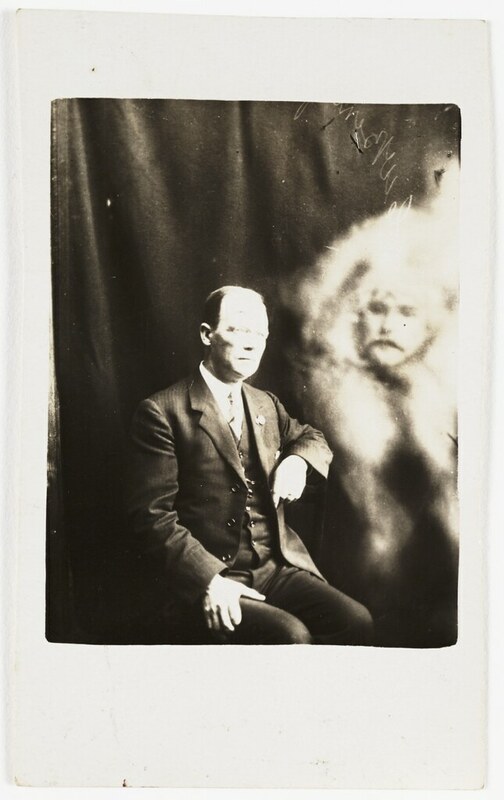 However, many of Hope’s most ardent supporters spoke out on his behalf, the most famous being Sir Arthur Conan Doyle who wrote The Case for Spirit Photography, in response to Price’s claims of fraud. 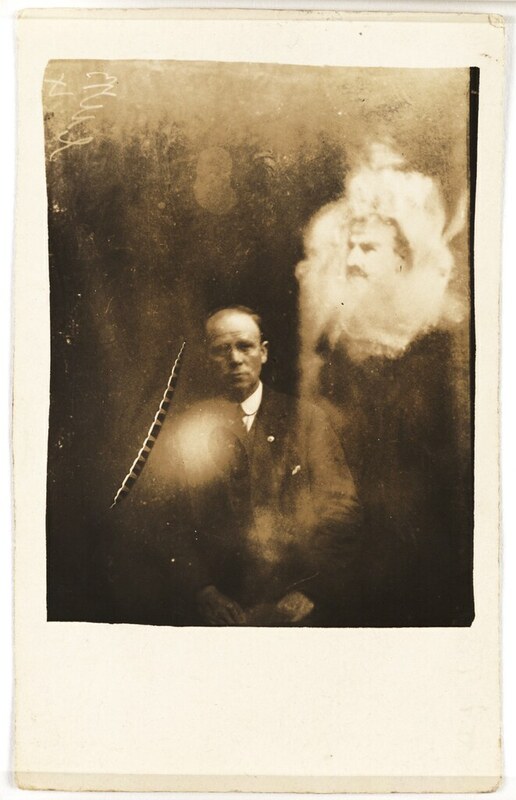 Hope continued to practice, despite his exposure, until his death in 1933. 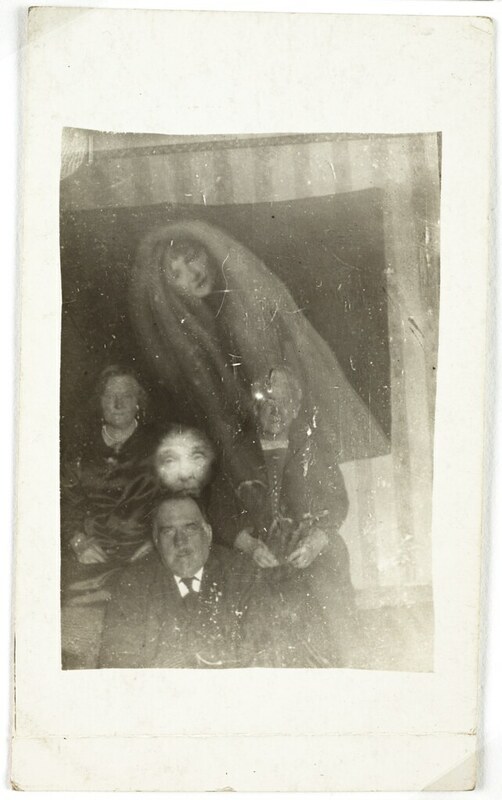 Download: Right click on images or see source for higher res.